Sponsor love + a giveaway! Tell us a little bit about My Home Testing! My Home Testing is a new division of Mercedes Medical. We are a woman owned, certified green business, and a dog-friendly work place. How long has your wonderful company been in business? We are celebrating our 20th anniversary this year! What does your site offer? My Home Testing offers (drum roll please)..…. you guessed it - at-home testing! Our tests range from family planning to diabetes. Instead of making an embarrassing or time consuming trip to the doctor, we offer lab certified testing from the comfort and privacy of your home. 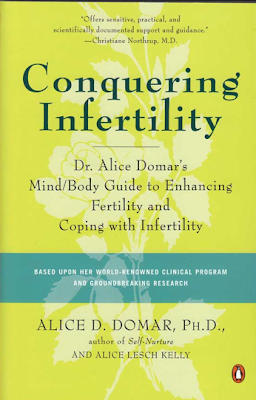 A great alternative for busy moms. Yes! I read about the baby shower you just attended and was so excited to hear about your friend who is now expecting (but had been trying for a baby for so long). That is exactly who this site is for, families who are trying to expand or working to stay healthy. As a new mom (one year ago), this is a really exciting time for me and our entire company. Thank you for your support and good luck to all of my fellow readers!!! 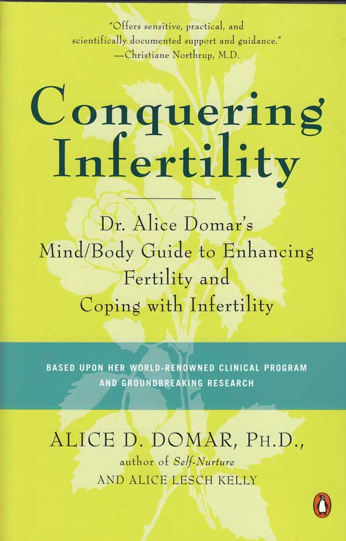 To help us kick off this new venture we are raffling off a copy of Conquering Infertility by Dr. Alice Domar, PH.D. To enter, all you need to do is "like" My Home Testing on Facebook and then come back and leave a comment that includes your email address. That's it! The giveaway ends on September 1st and a winner will be randomly selected shortly after. Not interested in the giveaway but still want to shop? Use the code JENNI10 to get 10% off of your order!